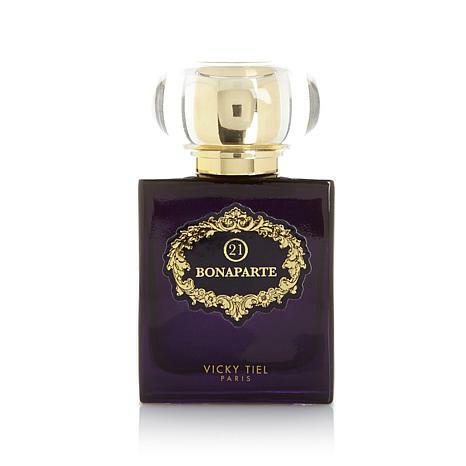 Vicky Tiel 21 Bonaparte Eau de Parfum Spray 1 oz. 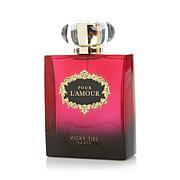 Vicky Tiel Pour L' Amour Eau de Parfum 3.4 fl. oz. 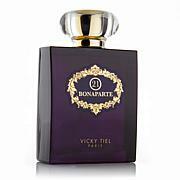 Vicky Tiel Femme Absolue Eau de Parfum 3.4 fl. oz. Timeless, sensual and stunning. A fragrance with a floral orental bouquet that's destined to become your signature scent. 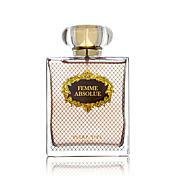 Ultra feminine and beautiful, its inviting harmony of notes touch the sensual side in every woman. Ingredients: Alcohol Denat., Fragrance (Parfum), Water (Aqua), Citric Acid, Triethanolamine, Butylphenyl Methylpropional, Benzyl Salicylate, Hydroxyisohexyl 3-Cyclohexene Carboxaldehyde, Limonene, Alpha-Isomethyl Ionone. yo lo he comprado ya ,es mi perfume favorito.gracias Vicky. Vicky Tiel is more than a fashion icon with an entertaining history. Her design know-how for everyday wears is what has kept her name in the headlines for more than 40 years. Beautiful, nostalgic prints and silhouettes cater to body-conscious style mavens and easy-to-wrap dresses are on every working-woman’s list. Sophistication and sexiness are just two words that embody this timeless brand. Remind me about Vicky Tiel upcoming shows. Dolce by Dolce & Gabbana EDP Spray for Women 1 oz. You are that rare combination of sweet and seductive. So is your fragrance, radiating an intoxicating aroma of vanilla combined with the South African freesia and juicy lychee — the perfect balance of fruity, sweet and floral. 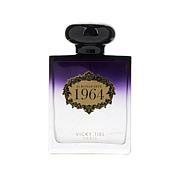 Spray on this beautiful eau de parfum and show off your scent-sual side.